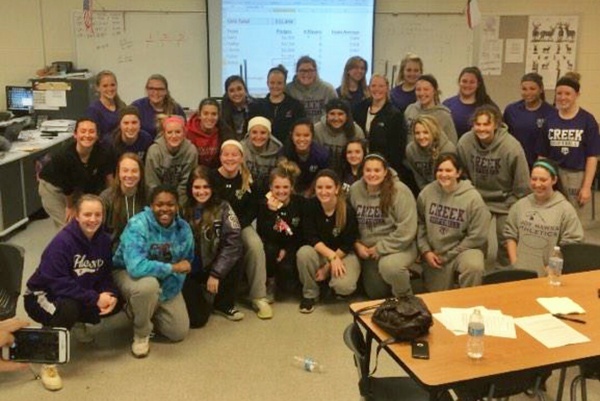 Timber Creek Softball’s varsity and junior varsity teams worked together to raise over $11,000 to be able to build a press box this week. On Feb. 4 both teams only had 40 minutes to raise a goal donation amount of $10,000. Even while thinking it might be impossible to raise that much money in less than an hour, everyone called their list of possible donors and asked for donations of $25-$2000. The softball and baseball complex do not have a press box at either field. Both programs have been raising money to build one at each field. After stressing over reaching their goal, the teams exceeded expectations and were able to raise a grand total of over $11,600. Moore said organizers are still waiting on design renderings for the boxes from the contractor.